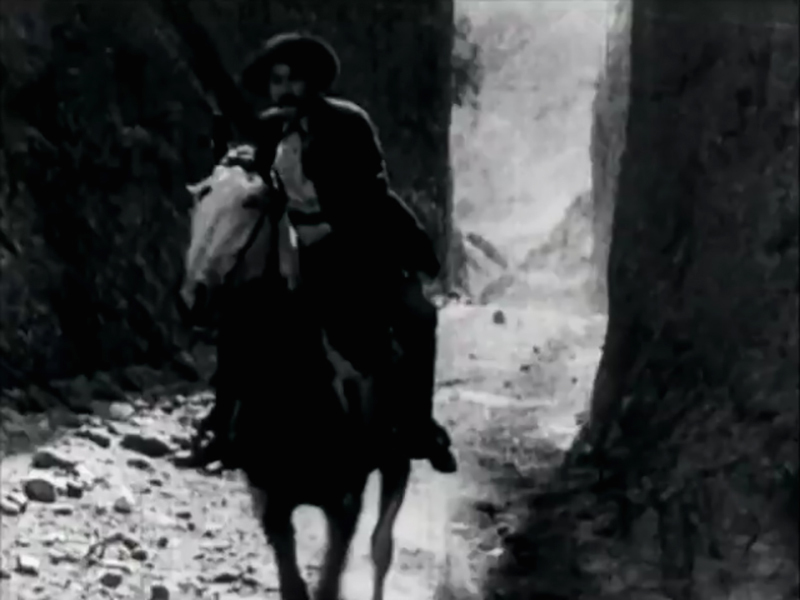 SCVHistory.com | Film-Arts | Harry Carey in 'Broken Ways' (1913): Downtown Newhall, Beale's Cut. 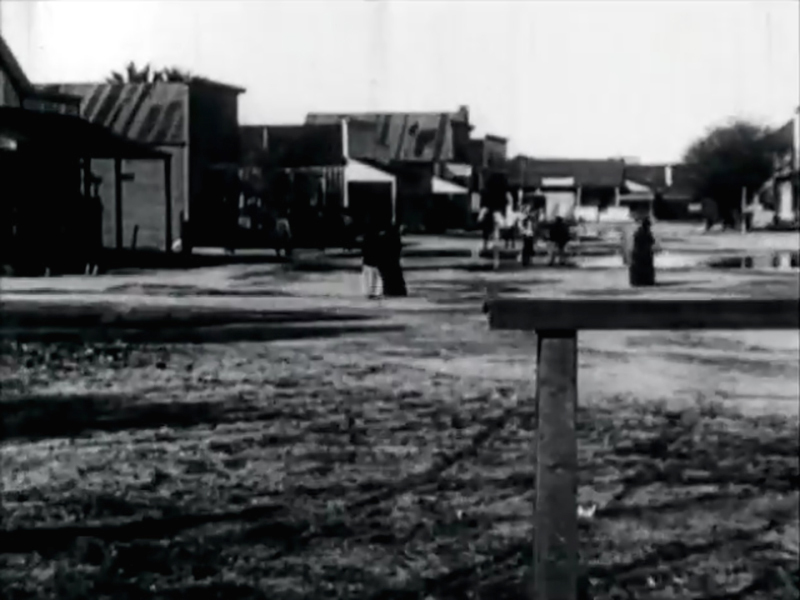 This 2-reel, 22-minute D.W. Griffith picture from 1913 includes the only known film footage of downtown Newhall when the business district was centered on Railroad Avenue, prior to moving to Spruce Street in 1914. 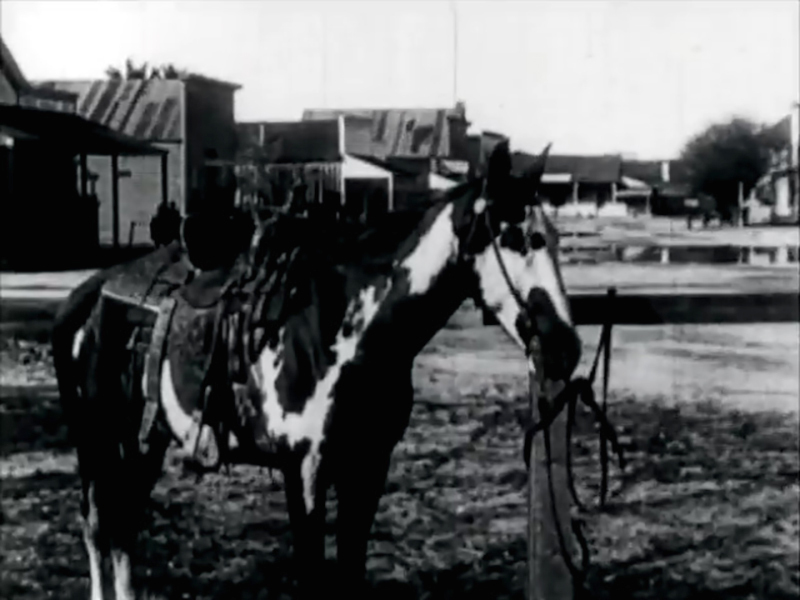 The film appears to have been shot entirely in the Newhall area. 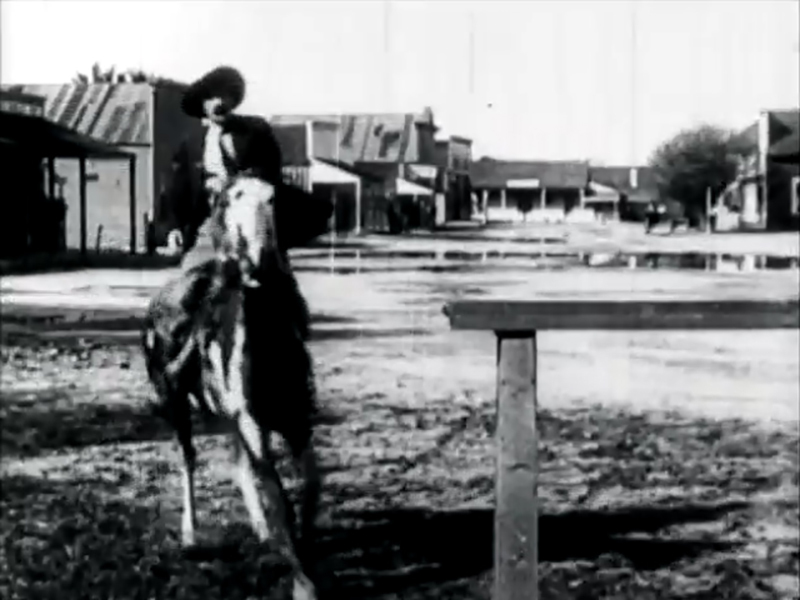 It is the earliest known motion picture to use Beale's Cut. 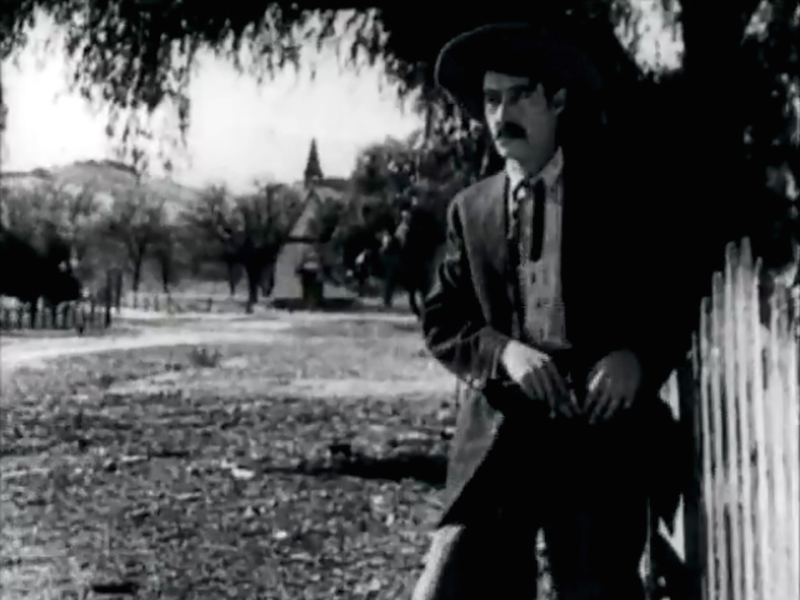 Harry Carey — who didn't purchase his ranch in Saugus until 3 years later — stars as a love-struck sheriff intent on rescuing the damsel (Blanche Sweet) from her rotten, abusive, cruel, drunkard of a thieving husband (Henry B. Walthall). 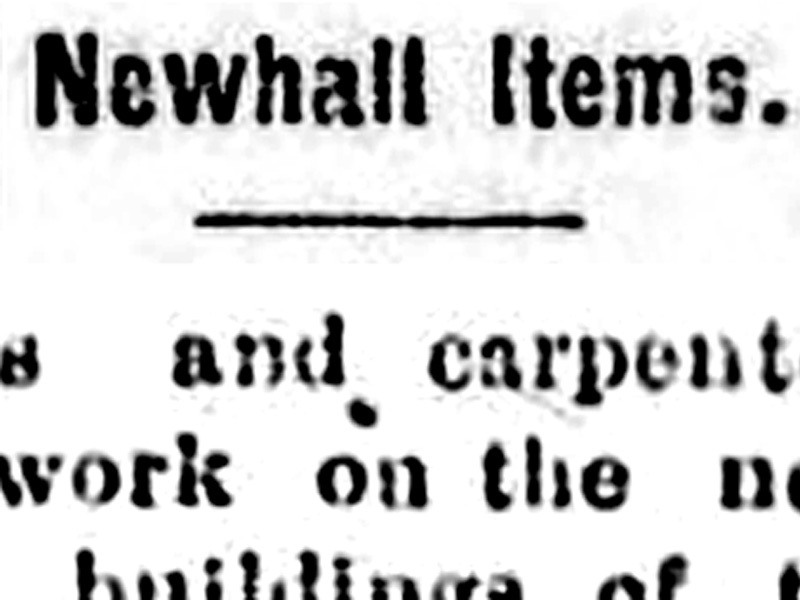 We see the original First Presbyterian Church of Newhall (built 1891), and it is probably the SPRR Newhall Depot (rather than Saugus) that is featured here. We also see a young Dorothy Gish (uncredited) in the telegraph office. 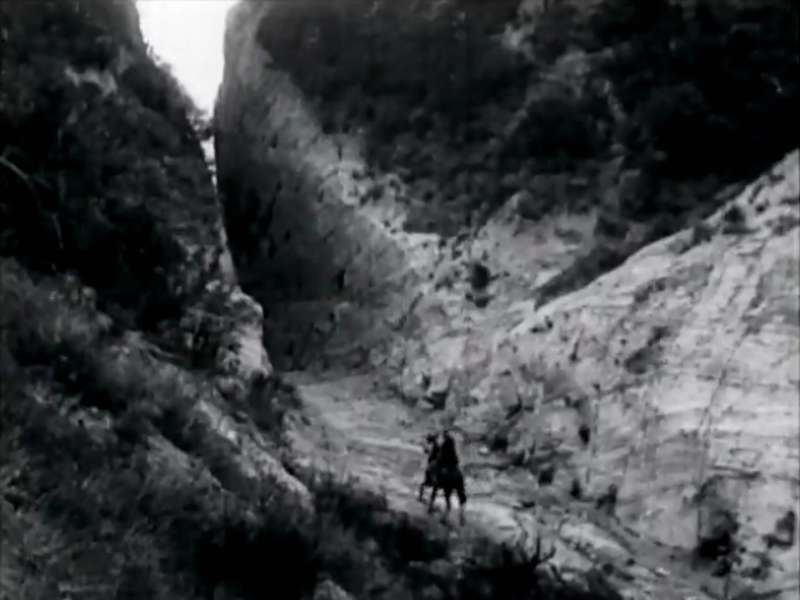 Produced by the Biograph Co., "Broken Ways" was released March 8, 1913, by General Film Co. Above: Railroad Avenue, looking north from the Market Street intersection toward the Derrick Saloon in the distance. 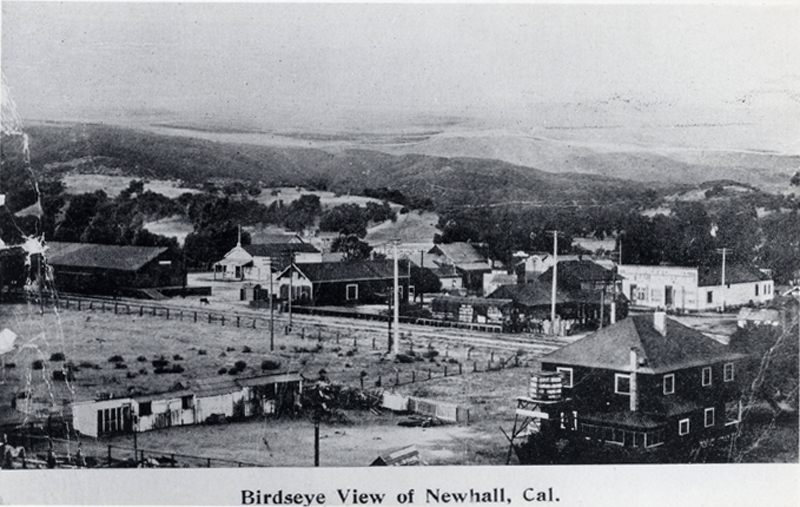 Above: First Presbyterian Church at Market Street and Newhall Avenue in the distance. Above: Beale's Cut, south side. Above: Beale's Cut, looking south.